From our experience as programmers and keyboard players, we know one thing for sure; "Keyboard Players always want more Keyboard sounds". The first thing we check out when we buy a new synth is the Keyboard sounds. We are always searching for the perfect Rhodes and Acoustic Piano patch. We get calls and e-mail from keyboard players all over the world who feel the same. So a few years ago Kid Nepro started producing entire soundbanks based on keyboard sounds. We call them "Killer Keyboards". 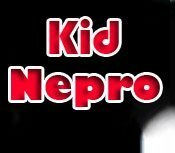 Kid Nepro has produced several other Keyboard soundbanks for instruments like the Roland JV80 & JV1000, Korg 01W, X3 and Trinity Series. Our main goal in producing these keyboard soundbanks is to give you keyboard players a much wider selection of keyboard sounds then what the manufacturer gives you with the factory patches. These can be used at live gigs or studio sessions. The Triton collection is no different. The Triton Killer Keyboard soundbank gives you a wide variety of new Electric & Acoustic Pianos, Jazz, Rock & Pipe Organs, Funky Clavinets, Harpsichords, Accordions and even a few Mellotron patches. As in our Studio/Session Mix, there are no rhythmic patterns. Much care was taken to improve on the factory keyboard sounds. The multi effects section were used extensively to improve the quality of the acoustic, electric piano and organ sounds. The compressor, flanger, phaser, eq and chorus effects all helped to do this. The overdrive effect was used on many of the rock organ patches. This will give you that bit of distortion that the B3 organ made so popular on dozens of classic rock recordings. We have also layered the acoustic piano with other textures (as done in Vol #2) to beef up the piano sounds. As in the other Korg Killer Keyboard banks that we have done for the Trinity, 01W and X3, there are no combinations only programs. Being the entire soundbank is based on keyboard sounds, we do not feel the need to create combinations since there are a very limited number of combinations one can create with just keyboard textures. For this reason the soundbank is priced at only $35, instead of the usual $40 price.